If you’re picturing a place to towel off or entertain friends, True North’s low-cost pool house plans make it simple to build a pool side retreat. A pool house can be an extension of your home. 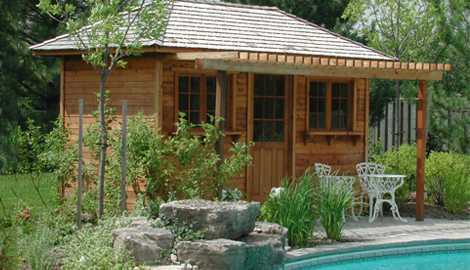 Our cabana plans range from modest to lavish; traditional to modern. Spot our pool house favorites by the hearts and let some of our most popular cabana designs help you find the perfect one. Plus, our Custom Plan Center makes it easy to customize any plan to suit your every pool house needs. 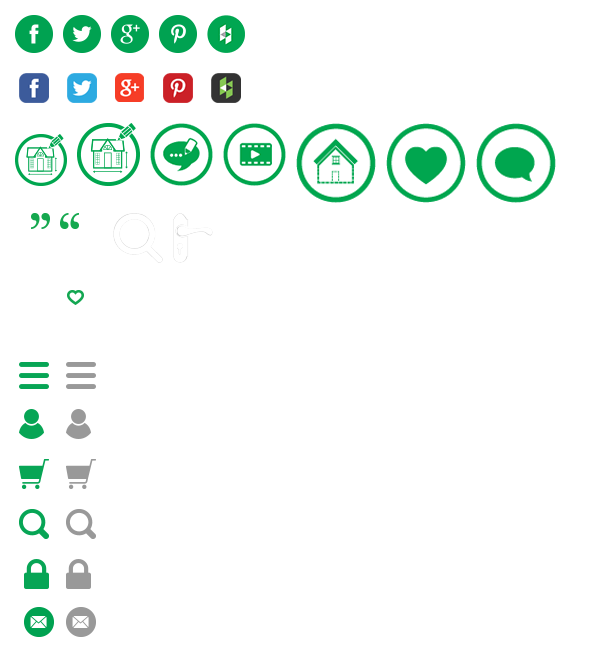 True North provides a helping hand, supplying your material shopping list, cut-lists and online video tutorials. Get the pool house you’ve been dreaming of, your perfect build is easy. Browse True North Pool Cabana Plans now! 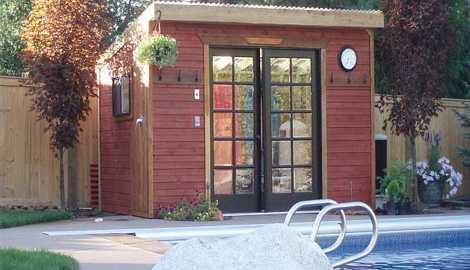 Our Catalina pool cabana will nestle perfectly into the corner of your backyard with its unique 5-sided shape. It has lots of storage space for pool accessories. 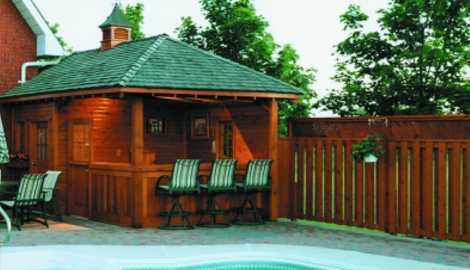 A customizable dream, the Copper Creek pool cabana plan has a beautiful pitched gable roof and symmetrical style. A contemporary pool cabana plan, the Dune features concealed doors for a sleek style. A lovely choice for poolside elegance. A contemporary pool cabana plan choice, the Melbourne has a rounded roof and clean lines. The center double doors are a style must. 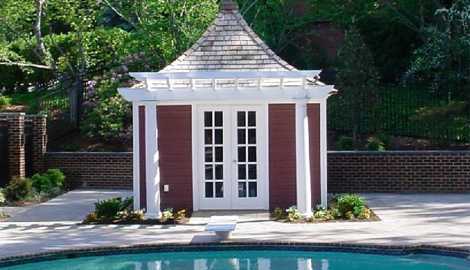 Make a statement with a Palmerston pool cabana plan. 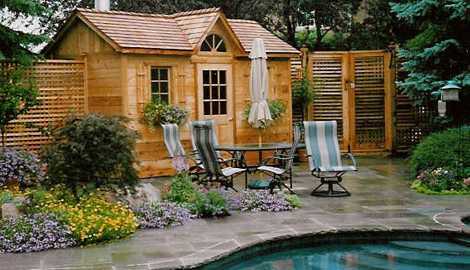 Charming and practical, this is the perfect design to enhance your backyard pool area. Elevate your backyard style with the San Cristobal pool cabana plan. 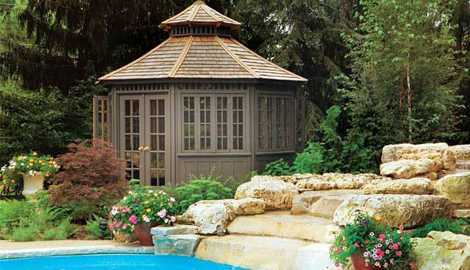 The European grandeur of this design is sure to beautify your backyard setting. 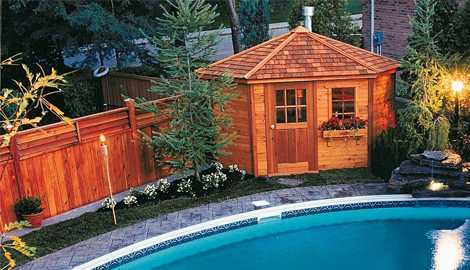 A classic pool cabana plan, the Sonoma can be customized by adding dormer windows or even French doors. Its the ultimate stylish storage option. A modern pool cabana plan option that boasts effortless style, the Urban Studio creates the perfect backyard retreat. The edgy Surfside pool cabana features an open bar area that is perfect for entertaining guests or cooling off and having a bite to eat in the shade.